At least seven students believe they were drugged while paying a visit to the Sigma Chi fraternity house at Stanford University last Friday, according to a report. Kris Sanchez reports. 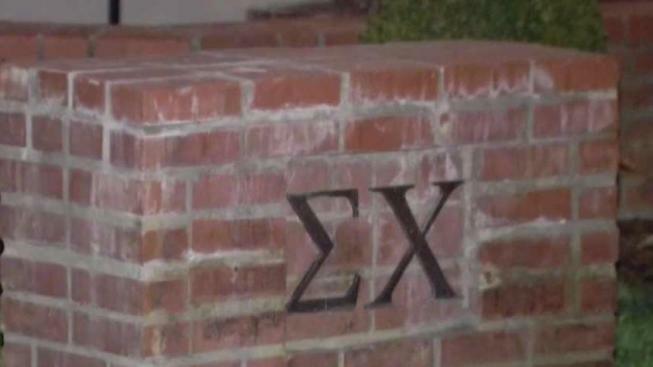 At least seven students believe they were drugged while paying a visit to the Sigma Chi fraternity house at Stanford University last Friday, according to a report. Five members of Pi Beta Phi and two male rowers suspect they were drugged by someone who does not attend the Peninsula university, according to the Stanford Daily. The five Pi Beta Phi members reportedly suffered from symptoms that "aligned with that of Xanax or a similar benzodiazepine," according to an email memo that was sent to Pi Beta Phi members and obtained by the student newspaper. One of the two rowers was reportedly transported to the hospital even though his blood alcohol content was "too low to have warranted a transport," according to the newspaper. The other rower went to the hospital voluntarily and "tested positive." An investigation is ongoing, according to the university. "Both the Title IX office and campus police are investigating, and at this moment the allegation remains unconfirmed," a statement from the university read. "Sigma Chi International Fraternity is aware of the allegations that illegal substances were brought into an event by a non-member and provided to attendees without their knowledge and we have begun our investigation into the matter. We are committed to working collaboratively with local authorities and Stanford University to see the perpetrator brought to justice."